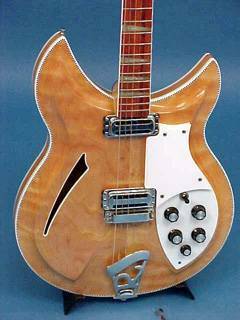 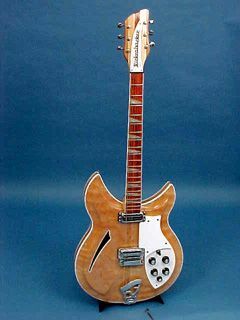 Model 381 first appeared in the Rickenbacker brochures of 1968 and was associated with artists such as John Kay of Steppenwolf. 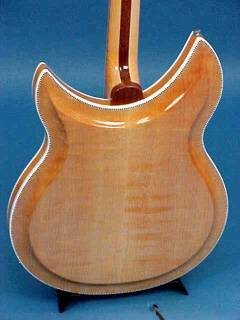 Featuring a deep double cut-away body from "birds-eye" maple. 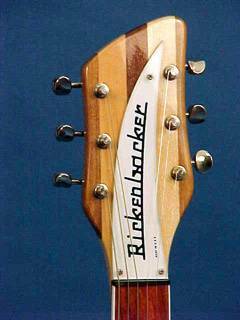 Available in Mapleglo, Fireglo and Jetglo. 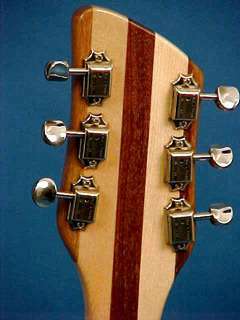 The rosewood fingerboard with 21 frets has triangle inlays. 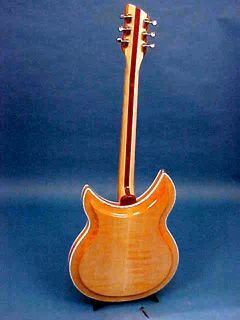 The body is fully bound with "checked" bindings.